Hospice Palliative Care is an approach to care that ensures quality of life for both the person and their family at every stage of a life-limiting illness from diagnosis onwards. It is a holistic approach which focuses on the physical, psychological, social and spiritual needs of patients and families. 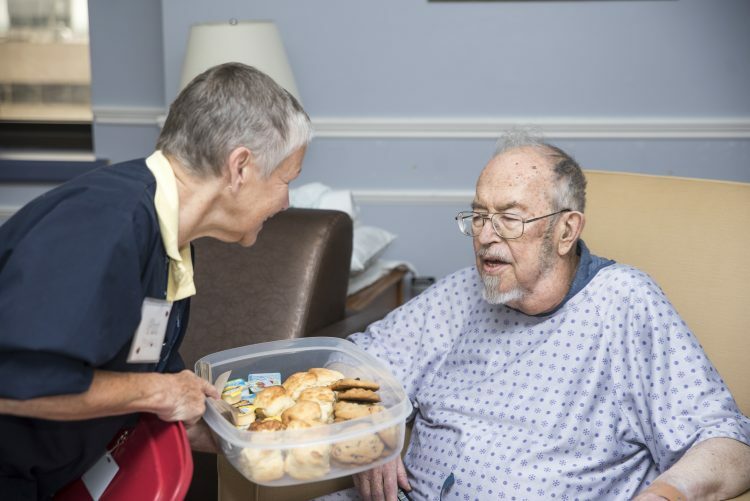 It provides support and care in the setting of the patient’s choice—be it at home, in hospital, in a palliative care unit, a hospice residence or in long-term care facilities. A hospice residence provides care at end-of-life for those who, for various reasons, cannot be cared for at home, and who do not require acute care hospital services. In keeping with the hospice palliative care philosophy, it emphasizes comfort and dignity at end-of-life in a home-like setting. Why is Palliative Care Important? Each life journey through illness is unique and an integrated palliative care approach focuses on maintaining the best possible quality of life for both the patient and their family. It is with the generous commitment of community donors that the Society, working in collaboration with dedicated palliative care service and volunteers, is able to meet many personal and immediate needs with comfort, compassion and care at a time when it is needed most.